Underscoring the need to be vigilant during tax season, the Internal Revenue Service’s Taxpayer Advocate Service (TAS) recently issued a warning about an e-mail “phishing” scam targeting taxpayers. The Taxpayer Advocate Services is the “voice of the taxpayer” at the IRS, helping to ensure taxpayers are treated fairly and understand their rights. Report this “phishing” e-mail immediately to the IRS by forwarding it to: phishing@irs.gov. 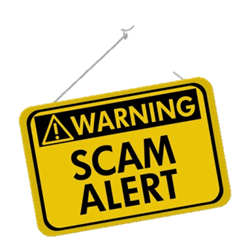 For additional information about this scam and other potentially dangerous tax season scams, please contact Gray, Gray & Gray’s Tax Department at 781.407.0300.